HOUSTON (Sputnik) - US Secretary of State Mike Pompeo will have to make the decision on possible sanctions over the Nord Stream 2 pipeline project, US Deputy Secretary of Energy Dan Brouillette said. "It’s not my decision. That’s for the US State Department. So, Secretary Pompeo has a decision to make", Brouillette told reporters on Thursday. Brouillette stressed that the companies who are doing business on this pipeline "are at risk of sanctions." "But it’s not a Department of Energy decision alone. It’s for the Department of State to determine as to whether or not sanctions will be imposed […] I really can’t comment on what decisions may be made by the State Department. It’s really something for Secretary Pompeo and the President of the United States [Donald Trump] to determine", the official pointed out. Pompeo said Tuesday that Washington does not want its European allies to rely on Russian gas through the Nord Stream 2 pipeline. He claimed Russia used its pipelines to put political pressure on the Ukraine. The United States has expressed its opposition to the Nord Stream 2 project on numerous occasions, claiming that it was the means of political control used by Russia to exert pressure on the European Union. The Russian authorities, in turn, argued that the US attitude toward the Nord Stream 2 project was explained by the desire to promote Washington's economic and energy interests in Europe and rejected the idea that the project might be political in its nature. 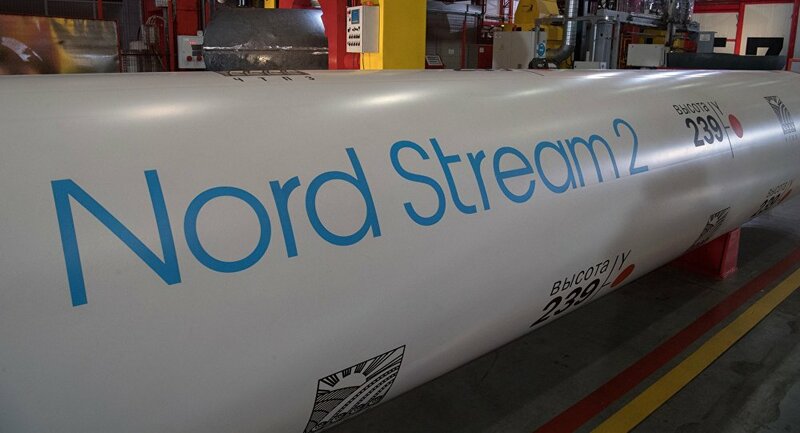 Nord Stream 2 is a joint venture of Russian gas giant Gazprom and five European companies. The pipeline is projected to deliver 55 billion cubic meters (1.9 trillion cubic feet) of Russian natural gas annually to countries in the European Union.